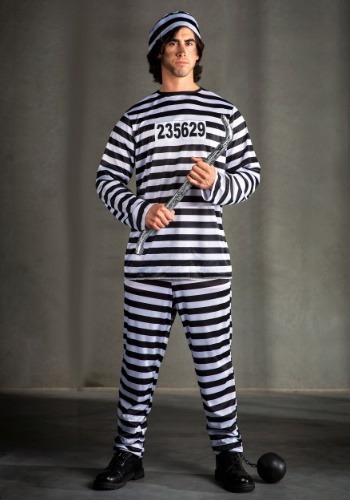 Mens Prisoner Costume Prison Jumpsuit Costumes By: Fun Costumes for the 2015 Costume season. Do some hard time at your next party in this adult prisoner costume. Add a ball and chain accessory or a pair of toy handcuffs for a funny detail!